We partnered with the SAF (Argentina Premier Football League) to create a real time gaming app for Football fans. The Project includes mobile apps in iOS and Android platforms, a web and mobile back end and an API to connect different devices in real time. Everyone thinks they now more about football than anyone else. 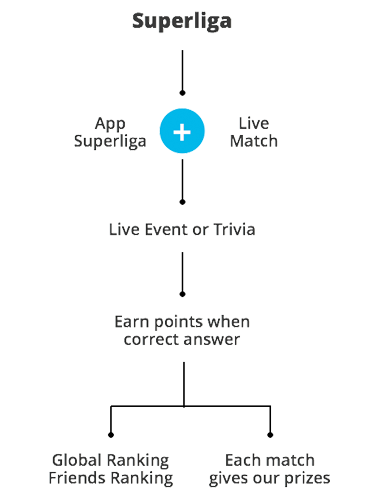 Fans get together to see the matches or interact via WhatsApp on every live action of a football match. After seeing this we come up with the idea of creating a platform that will allow fans and their friend to compete and prove who is actually the best of all. The SAF was immediately hook with the idea and in only 4 months we signed the project and launched the app and campaign. Fans can interact with the game live events in real time. The fan has only 15 second to select on option before the Question is blocked. After the time is up and the event has finished the fan will know if he was correct or incorrect on their selection. If its correct it will earn points if not it will loose one ball (life).